This is one of our favourite recipes that you can easily tweak depending on what berries you have on hand. It's a great breakfast on the go, snack for the little ones or a unique treat after a dinner party! 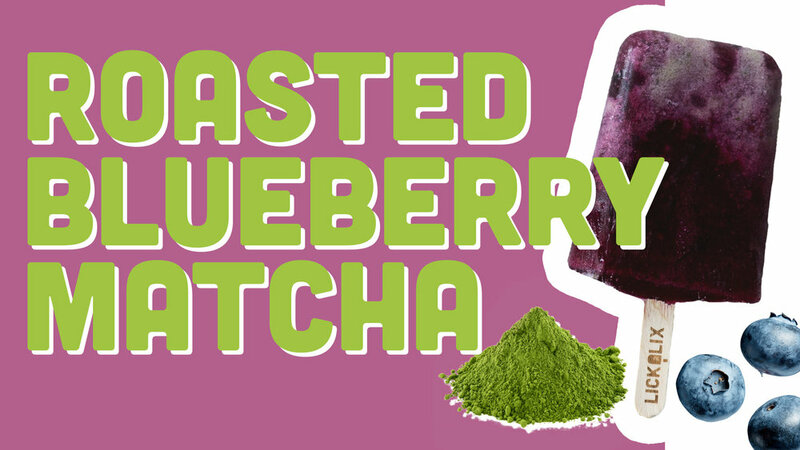 This one is made from sweet blueberries, matcha powder, coconut milk and unrefined cane sugar. In a pot, bring blueberries, hot water and sugar to boil. Stir and simmer until mixture is thick. 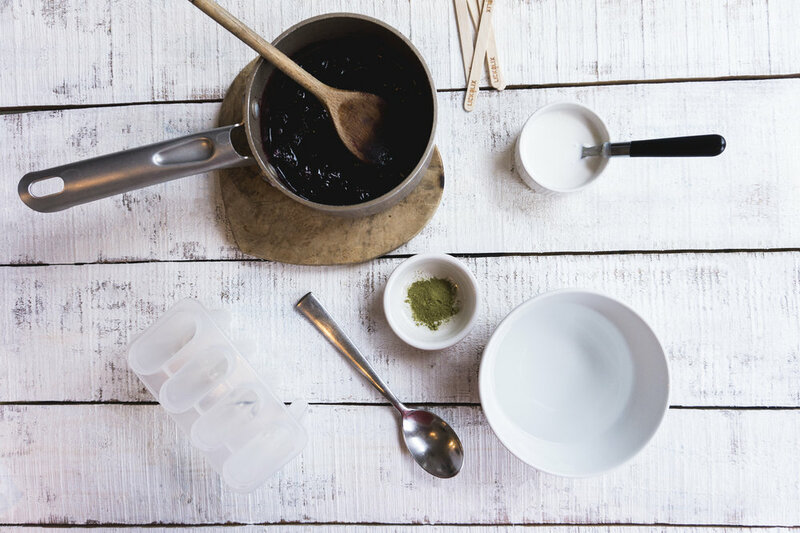 In a small bowl, mix matcha powder and coconut milk until fully dissolved. 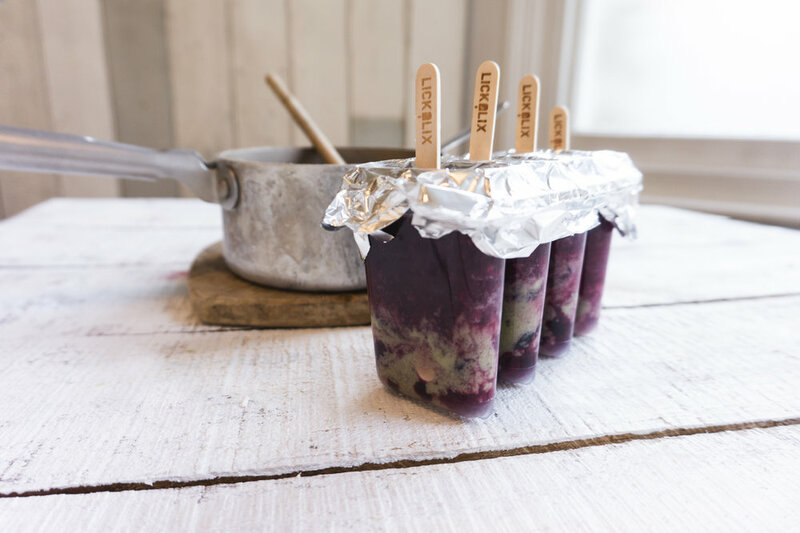 Pour blueberry mixture into moulds and alternate layers between roasted blueberry and matcha mix. Add sticks and freeze. Roast blueberries, unrefined sugar and water in a pot and allow to simmer. Add water as needed but the mixture should be thick and syrup-y. 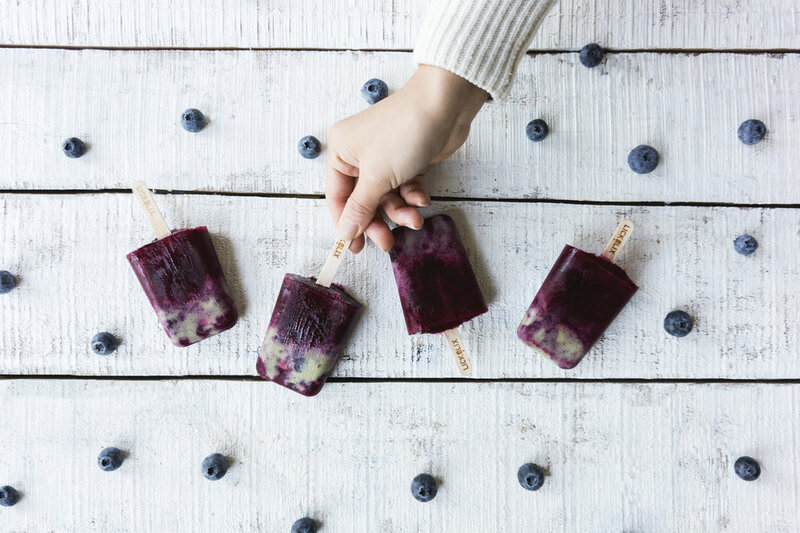 We like to keep whole blueberries in there as well as popped ones for added flavour. Alternate between mixtures to create this really cool swirl of purple and green!